What is the Big Catch? 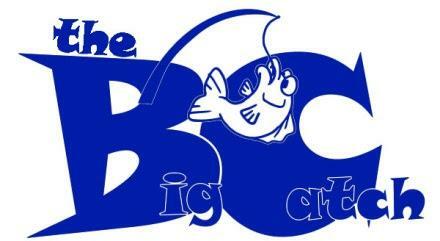 The Big Catch’s mission is to "bring awareness to the benefits of community fishing programs and teaching families to spend time together while learning about their health and wellness, how to conserve and sustain the fishing habitat, nature, healthy-eating, fitness and how to strengthen families during fishing and recreational activities. Community First Alliance, Inc.’s primary goal is to strengthen family relationships through recreation and academics while teaching life skills. This organization focuses on bridging the gap between youth, their families, and the community. One of our events, The Big Catch Community Kids Fishing and Health Fair, teaches families to fish and have a sense of how to provide for their household. ”Teach a person to fish and they will eat for a lifetime”. Community First Alliance, Inc. also utilizes a health fair during The Big Catch event. The health fair provides screenings for cholesterol, weight, blood pressure, BMI and blood sugar levels. The Big Catch” event has something for the entire family and is sponsored by Community First Alliance, Inc.
We have put this event on for 3 years, with 4 successful events. Our total attendance between the 4 events has surpassed 4,500 participants. This event requires that parents or guardians must attend with a child. Free food, drinks (water) and Health screenings are available. Support Community First Alliance with joining Kroger Community Rewards. It was a well-rounded event that my children enjoyed. Buy a fishing license today! MacArthur Park in Little Rock Registration 7:30 am. Forrest City Recreational Center Registration 8:00 am. Contact us today for schedule options and details.